WASHINGTON CITY — Three people including a child were severely burned and hospitalized when a mobile home burst into flames. 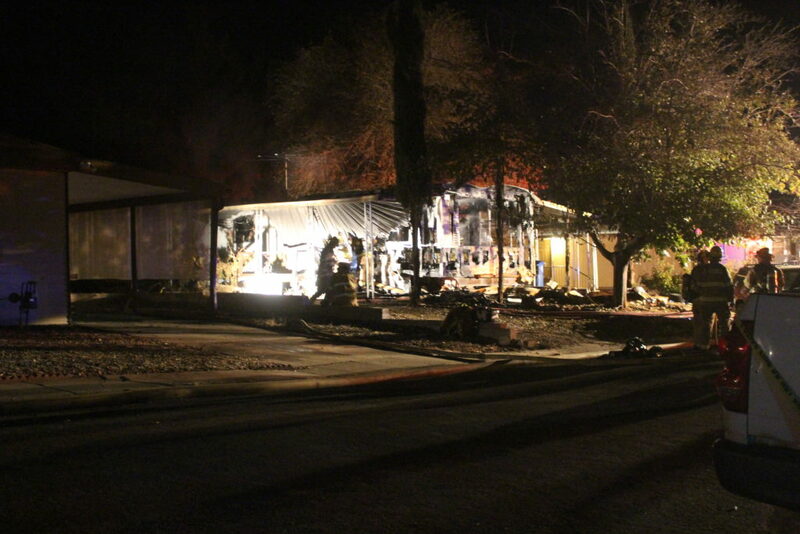 The fire rapidly consumed the home Monday evening. Officers from Washington City Police were dispatched to a structure fire with occupants trapped inside at 441 E. Angie Lane at approximately 7:05 p.m.
“When we arrived, it was fully engulfed,” Washington City Police Chief Jim Keith said. 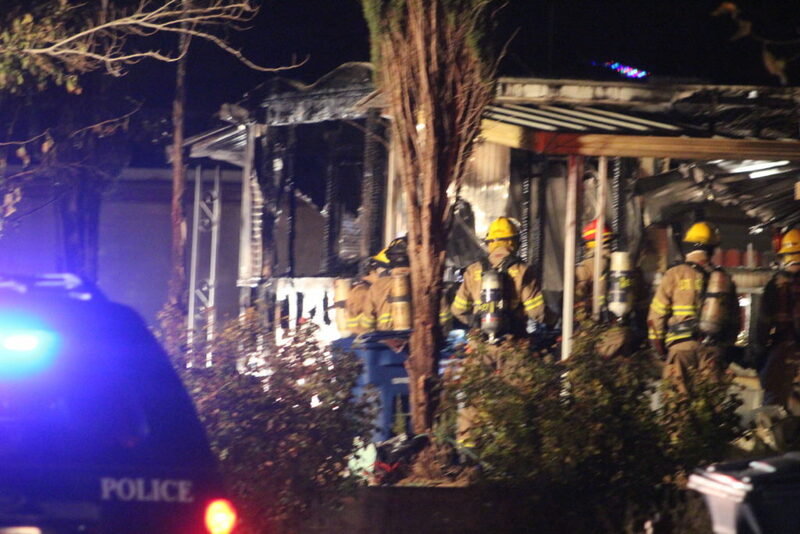 Firefighters arrived shortly after police and quickly worked to extricate the home’s occupants. 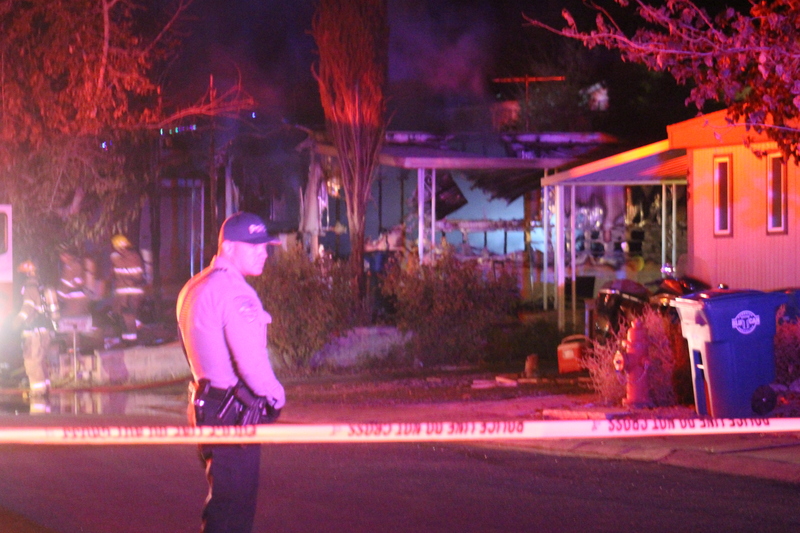 Within 15 minutes, all three occupants were pulled out of the home, including a man who was not breathing, a child who was not breathing and an unconscious woman. Rescue personnel from Gold Cross Ambulance tended to the victims. 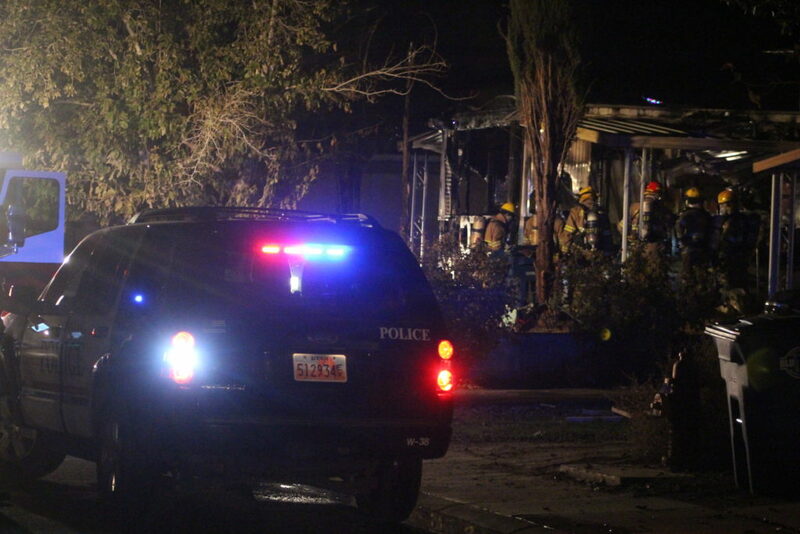 At least one was transported by Intermountain Life Flight from the scene, Keith said, and they were all hospitalized. The condition of the victims was unknown when this report was taken, but they were reported to have suffered severe burns. None of the rescue crews or firefighters was injured, Keith said, and what caused the fire is still the subject of investigation. “It was huge, it was massive flames,” Mark Todd said. 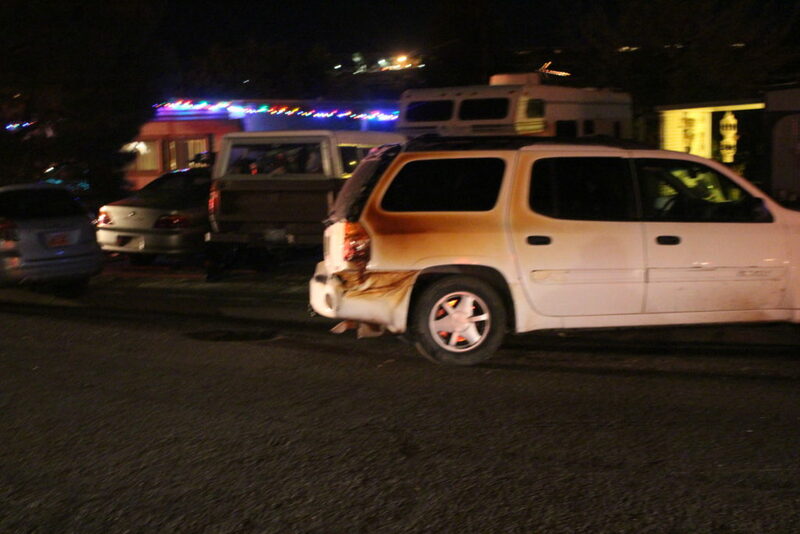 Todd neighbors the trailer and witnessed the fire shortly after it began. The blaze appeared to have started near the front of the house and rapidly spread through the entire property, Todd said. “It looks like it’s pretty much total loss on the trailer,” Keith said. 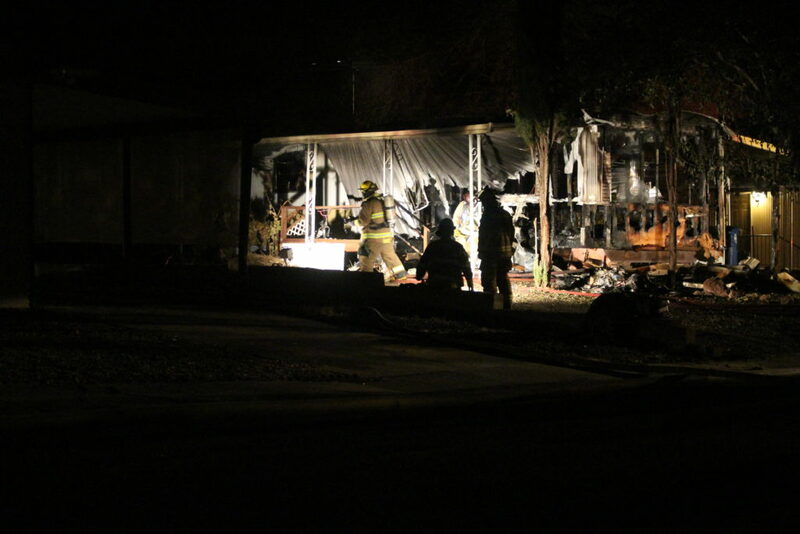 Firefighters quickly doused the flames, but the fire ate through the entire trailer, leaving behind only badly burnt wooden beams. Scores of fire and rescue personnel responded to the scene with fire engines and ambulances filling the entire block as concerned neighbors looked on in the smoke-filled community. 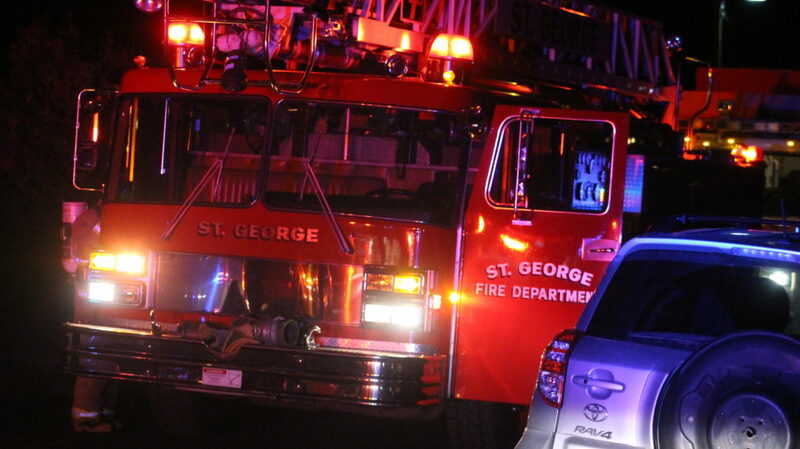 The multiagency effort was led by Washington City Fire Chief Matt Evans with assistance from St. George Fire Department and Hurricane Valley Fire and Rescue, Gold Cross Ambulance, Washington City Police and the state Fire Marshal’s Office.